6900201 B1U-1 YANMAR B1U-1 Excavator B series. Spare Parts Catalog. Service (workshop) Manual. Operator's Instruction Manual. 6900202 B2U-1 YANMAR B2U-1 Excavator B series. Spare Parts Catalog. Service (workshop) Manual. Operator's Instruction Manual. 6900203 B2-5 YANMAR B2-5 Excavator B series. Spare Parts Catalog. Service (workshop) Manual. Operator's Instruction Manual. 6900204 B3 YANMAR B3 Excavator B series. Spare Parts Catalog. Service (workshop) Manual. Operator's Instruction Manual. 6900205 B03 YANMAR B03 Excavator B series. Spare Parts Catalog. Service (workshop) Manual. Operator's Instruction Manual. 6900206 B3-1 YANMAR B3-1 Excavator B series. Spare Parts Catalog. Service (workshop) Manual. Operator's Instruction Manual. 6900207 B3-2 YANMAR B3-2 Excavator B series. Spare Parts Catalog. Service (workshop) Manual. Operator's Instruction Manual. 6900208 B3-3 YANMAR B3-3 Excavator B series. Spare Parts Catalog. Service (workshop) Manual. Operator's Instruction Manual. 6900209 B3-3A YANMAR B3-3A Excavator B series. Spare Parts Catalog. Service (workshop) Manual. Operator's Instruction Manual. 6900210 B4U-1 YANMAR B4U-1 Excavator B series. Spare Parts Catalog. Service (workshop) Manual. Operator's Instruction Manual. 6900211 B5 YANMAR B5 Excavator B series. Spare Parts Catalog. Service (workshop) Manual. Operator's Instruction Manual. 6900212 B05 YANMAR B05 Excavator B series. Spare Parts Catalog. Service (workshop) Manual. Operator's Instruction Manual. 6900213 B5-1 YANMAR B5-1 Excavator B series. Spare Parts Catalog. Service (workshop) Manual. Operator's Instruction Manual. 6900214 B5-2 YANMAR B5-2 Excavator B series. Spare Parts Catalog. Service (workshop) Manual. Operator's Instruction Manual. 6900215 B6-1 YANMAR B6-1 Excavator B series. Spare Parts Catalog. Service (workshop) Manual. Operator's Instruction Manual. 6900216 B6-2 PR YANMAR B6-2 PR Excavator B series. Spare Parts Catalog. Service (workshop) Manual. Operator's Instruction Manual. 6900217 B6-3 YANMAR B6-3 Excavator B series. Spare Parts Catalog. Service (workshop) Manual. Operator's Instruction Manual. 6900218 B6U YANMAR B6U Excavator B series. Spare Parts Catalog. Service (workshop) Manual. Operator's Instruction Manual. 6900219 B6U-1 YANMAR B6U-1 Excavator B series. Spare Parts Catalog. Service (workshop) Manual. Operator's Instruction Manual. 6900220 B7 YANMAR B7 Excavator B series. Spare Parts Catalog. Service (workshop) Manual. Operator's Instruction Manual. 6900221 B7 SIGMA YANMAR B7 SIGMA Excavator B series. Spare Parts Catalog. Service (workshop) Manual. Operator's Instruction Manual. 6900222 B7 SIGMA-A YANMAR B7 SIGMA-A Excavator B series. Spare Parts Catalog. Service (workshop) Manual. Operator's Instruction Manual. 6900223 B7-3 YANMAR B7-3 Excavator B series. Spare Parts Catalog. Service (workshop) Manual. Operator's Instruction Manual. 6900224 B7-5 YANMAR B7-5 Excavator B series. Spare Parts Catalog. Service (workshop) Manual. Operator's Instruction Manual. 6900225 B7-5A YANMAR B7-5A Excavator B series. Spare Parts Catalog. Service (workshop) Manual. Operator's Instruction Manual. 6900226 B08 YANMAR B08 Excavator B series. Spare Parts Catalog. Service (workshop) Manual. Operator's Instruction Manual. 6900227 B08-3 YANMAR B08-3 Excavator B series. Spare Parts Catalog. Service (workshop) Manual. Operator's Instruction Manual. 6900228 B10 YANMAR B10 Excavator B series. Spare Parts Catalog. Service (workshop) Manual. Operator's Instruction Manual. 6900229 B12 YANMAR B12 Excavator B series. Spare Parts Catalog. Service (workshop) Manual. Operator's Instruction Manual. 6900230 B12-1 YANMAR B12-1 Excavator B series. Spare Parts Catalog. Service (workshop) Manual. Operator's Instruction Manual. 6900231 B12-2B YANMAR B12-2B Excavator B series. Spare Parts Catalog. Service (workshop) Manual. Operator's Instruction Manual. 6900232 B12-2P YANMAR B12-2P Excavator B series. Spare Parts Catalog. Service (workshop) Manual. Operator's Instruction Manual. 6900233 B12-3 YANMAR B12-3 Excavator B series. Spare Parts Catalog. Service (workshop) Manual. Operator's Instruction Manual. 6900234 B12-P YANMAR B12-P Excavator B series. Spare Parts Catalog. Service (workshop) Manual. Operator's Instruction Manual. 6900235 B14 YANMAR B14 Excavator B series. Spare Parts Catalog. Service (workshop) Manual. Operator's Instruction Manual. 6900236 B14 EP YANMAR B14 EP Excavator B series. Spare Parts Catalog. Service (workshop) Manual. Operator's Instruction Manual. 6900237 B15 YANMAR B15 Excavator B series. Spare Parts Catalog. Service (workshop) Manual. Operator's Instruction Manual. 6900238 B15-3 YANMAR B15-3 Excavator B series. Spare Parts Catalog. Service (workshop) Manual. Operator's Instruction Manual. 6900239 B15-3EX YANMAR B15-3EX Excavator B series. Spare Parts Catalog. Service (workshop) Manual. Operator's Instruction Manual. 6900240 B15EX YANMAR B15EX Excavator B series. Spare Parts Catalog. Service (workshop) Manual. Operator's Instruction Manual. 6900241 B17 YANMAR B17 Excavator B series. Spare Parts Catalog. Service (workshop) Manual. Operator's Instruction Manual. 6900242 B17-1 YANMAR B17-1 Excavator B series. Spare Parts Catalog. Service (workshop) Manual. Operator's Instruction Manual. 6900243 B17-2 YANMAR B17-2 Excavator B series. Spare Parts Catalog. Service (workshop) Manual. Operator's Instruction Manual. 6900244 B17-2B YANMAR B17-2B Excavator B series. Spare Parts Catalog. Service (workshop) Manual. Operator's Instruction Manual. 6900245 B17-3 YANMAR B17-3 Excavator B series. Spare Parts Catalog. Service (workshop) Manual. Operator's Instruction Manual. 6900246 B17-P YANMAR B17-P Excavator B series. Spare Parts Catalog. Service (workshop) Manual. Operator's Instruction Manual. 6900247 B18 YANMAR B18 Excavator B series. Spare Parts Catalog. Service (workshop) Manual. Operator's Instruction Manual. 6900248 B19 YANMAR B19 Excavator B series. Spare Parts Catalog. Service (workshop) Manual. Operator's Instruction Manual. 6900249 B22 YANMAR B22 Excavator B series. Spare Parts Catalog. Service (workshop) Manual. Operator's Instruction Manual. 6900250 B22-1 YANMAR B22-1 Excavator B series. Spare Parts Catalog. Service (workshop) Manual. Operator's Instruction Manual. 6900251 B22-2 YANMAR B22-2 Excavator B series. Spare Parts Catalog. Service (workshop) Manual. Operator's Instruction Manual. 6900252 B22-2A YANMAR B22-2A Excavator B series. Spare Parts Catalog. Service (workshop) Manual. Operator's Instruction Manual. 6900253 B22-2B YANMAR B22-2B Excavator B series. Spare Parts Catalog. Service (workshop) Manual. Operator's Instruction Manual. 6900254 B25 YANMAR B25 Excavator B series. Spare Parts Catalog. Service (workshop) Manual. Operator's Instruction Manual. 6900255 B25-1 YANMAR B25-1 Excavator B series. Spare Parts Catalog. Service (workshop) Manual. Operator's Instruction Manual. 6900256 B25V YANMAR B25V Excavator B series. Spare Parts Catalog. Service (workshop) Manual. Operator's Instruction Manual. 6900257 B25V-1 YANMAR B25V-1 Excavator B series. Spare Parts Catalog. Service (workshop) Manual. Operator's Instruction Manual. 6900258 B27 YANMAR B27 Excavator B series. Spare Parts Catalog. Service (workshop) Manual. Operator's Instruction Manual. 6900259 B27-2 YANMAR B27-2 Excavator B series. Spare Parts Catalog. Service (workshop) Manual. Operator's Instruction Manual. 6900260 B27-2A YANMAR B27-2A Excavator B series. Spare Parts Catalog. Service (workshop) Manual. Operator's Instruction Manual. 6900261 B27-2B YANMAR B27-2B Excavator B series. Spare Parts Catalog. Service (workshop) Manual. Operator's Instruction Manual. 6900262 B30V YANMAR B30V Excavator B series. Spare Parts Catalog. Service (workshop) Manual. Operator's Instruction Manual. 6900263 B30V-1 YANMAR B30V-1 Excavator B series. Spare Parts Catalog. Service (workshop) Manual. Operator's Instruction Manual. 6900264 B32 YANMAR B32 Excavator B series. Spare Parts Catalog. Service (workshop) Manual. Operator's Instruction Manual. 6900265 B32-1 YANMAR B32-1 Excavator B series. Spare Parts Catalog. Service (workshop) Manual. Operator's Instruction Manual. 6900266 B37 YANMAR B37 Excavator B series. Spare Parts Catalog. Service (workshop) Manual. Operator's Instruction Manual. 6900267 B37-2 YANMAR B37-2 Excavator B series. Spare Parts Catalog. Service (workshop) Manual. Operator's Instruction Manual. 6900268 B37-2A YANMAR B37-2A Excavator B series. Spare Parts Catalog. Service (workshop) Manual. Operator's Instruction Manual. 6900269 B37-2B YANMAR B37-2B Excavator B series. Spare Parts Catalog. Service (workshop) Manual. Operator's Instruction Manual. 6900270 B37-C YANMAR B37-C Excavator B series. Spare Parts Catalog. Service (workshop) Manual. Operator's Instruction Manual. 6900271 B37-P YANMAR B37-P Excavator B series. Spare Parts Catalog. Service (workshop) Manual. Operator's Instruction Manual. 6900272 B37V YANMAR B37V Excavator B series. Spare Parts Catalog. Service (workshop) Manual. Operator's Instruction Manual. 6900273 B37V-1 YANMAR B37V-1 Excavator B series. Spare Parts Catalog. Service (workshop) Manual. Operator's Instruction Manual. 6900274 B50 YANMAR B50 Excavator B series. Spare Parts Catalog. Service (workshop) Manual. Operator's Instruction Manual. 6900275 B50-1 YANMAR B50-1 Excavator B series. Spare Parts Catalog. Service (workshop) Manual. Operator's Instruction Manual. 6900276 B50-2 YANMAR B50-2 Excavator B series. Spare Parts Catalog. Service (workshop) Manual. Operator's Instruction Manual. 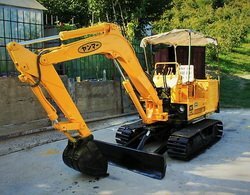 6900277 B50-2A YANMAR B50-2A Excavator B series. Spare Parts Catalog. Service (workshop) Manual. Operator's Instruction Manual. 6900278 B50-2B YANMAR B50-2B Excavator B series. Spare Parts Catalog. Service (workshop) Manual. Operator's Instruction Manual. 6900279 B50-C YANMAR B50-C Excavator B series. Spare Parts Catalog. Service (workshop) Manual. Operator's Instruction Manual. 6900280 B50-P YANMAR B50-P Excavator B series. Spare Parts Catalog. Service (workshop) Manual. Operator's Instruction Manual. 6900281 B50V YANMAR B50V Excavator B series. Spare Parts Catalog. Service (workshop) Manual. Operator's Instruction Manual. 6900282 YB10-2 YANMAR YB10-2 Excavator YB series. Spare Parts Catalog. Service (workshop) Manual. Operator's Instruction Manual. 6900283 YB101 YANMAR YB101 Excavator YB series. Spare Parts Catalog. Service (workshop) Manual. Operator's Instruction Manual. 6900284 YB121 YANMAR YB121 Excavator YB series. Spare Parts Catalog. Service (workshop) Manual. Operator's Instruction Manual. 6900285 YB121U YANMAR YB121U Excavator YB series. Spare Parts Catalog. Service (workshop) Manual. Operator's Instruction Manual. 6900286 YB151 YANMAR YB151 Excavator YB series. Spare Parts Catalog. Service (workshop) Manual. Operator's Instruction Manual. 6900287 YB151U YANMAR YB151U Excavator YB series. Spare Parts Catalog. Service (workshop) Manual. Operator's Instruction Manual. 6900288 YB201 YANMAR YB201 Excavator YB series. Spare Parts Catalog. Service (workshop) Manual. Operator's Instruction Manual. 6900289 YB201U YANMAR YB201U Excavator YB series. Spare Parts Catalog. Service (workshop) Manual. Operator's Instruction Manual. 6900290 YB201Z YANMAR YB201Z Excavator YB series. Spare Parts Catalog. Service (workshop) Manual. Operator's Instruction Manual. 6900291 YB221U YANMAR YB221U Excavator YB series. Spare Parts Catalog. Service (workshop) Manual. Operator's Instruction Manual. 6900292 YB221UZ YANMAR YB221UZ Excavator YB series. Spare Parts Catalog. Service (workshop) Manual. Operator's Instruction Manual. 6900293 YB271 YANMAR YB271 Excavator YB series. Spare Parts Catalog. Service (workshop) Manual. Operator's Instruction Manual. 6900294 YB271UZ YANMAR YB271UZ Excavator YB series. Spare Parts Catalog. Service (workshop) Manual. Operator's Instruction Manual. 6900295 YB301 YANMAR YB301 Excavator YB series. Spare Parts Catalog. Service (workshop) Manual. Operator's Instruction Manual. 6900296 YB351 YANMAR YB351 Excavator YB series. Spare Parts Catalog. Service (workshop) Manual. Operator's Instruction Manual. 6900297 YB401U YANMAR YB401U Excavator YB series. Spare Parts Catalog. Service (workshop) Manual. Operator's Instruction Manual. 6900298 YB401UZ YANMAR YB401UZ Excavator YB series. Spare Parts Catalog. Service (workshop) Manual. Operator's Instruction Manual. 6900299 YB451 YANMAR YB451 Excavator YB series. Spare Parts Catalog. Service (workshop) Manual. Operator's Instruction Manual. 6900300 YB501 YANMAR YB501 Excavator YB series. Spare Parts Catalog. Service (workshop) Manual. Operator's Instruction Manual.